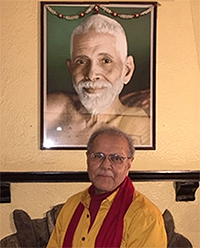 Bandhu, a lifelong devotee of Sri Ramana Maharshi, will give facts about Sri Ramana’s life and will attempt to share the facets of understanding and practicing HIS central teaching – “Who Am I?” -- in daily mundane life. The program will be in the form of an interactive dialogue. There is no donation for Bandhu's program.